Whether you are an amateur, or an expert photographer, you need to know about protecting your photography. Watermarks and intellectual property or copyright statements are methods frequently used by professions, but family pictures can be copyrighted, too. This is done so that cyber-criminals or even casual lookers will not use your photographs for their own purposes. Check out the following guides on how to make certain your photographs are protected, or private, so that you don't have regrets or issues in the future. Photographs taken with your digital camera, or even any images you will take using you’re smartphone, should be protected. Before you proceed to add watermarks or copyrights to your photographs, it is best to understand the purpose and benefits of adding this information. In the following guides, we cover general information about your rights, how watermarks can be used to signify a copyright on your work, and even a offer a program that you can use to help. What is Metadata and How Can I Edit My Photo Metadata? The linked articles below will help you to protect your photography copyrights in several ways. By adding copyright information, you'll be able to verify authenticity, or the identity the owners, of a photograph. You will also learn about geotagging your photographs, so that you can easily identify where a picture was taken – that is, if you don't mind others possibly knowing. Note that the last article is about adding a time and date stamps to a photo. Adding the time and date isn't truly a way to protect your photograph. However, since a time and date stamp are unremovable, you will have the protection of knowing that no one will try to claim they recently captured a previously taken photo that is actually yours. If you are unsure about using a program on your own, but still wish to protect your work, there are several online photo services which offer watermarking services for free, or with subscription. Check out the articles below on how to use online photography services to add copyright information to your photos. You should also check the downloadable software reviews for information related to editing and watermarking a photographic images on your computer. From there, you can narrow down which editing programs you would like to try or buy. 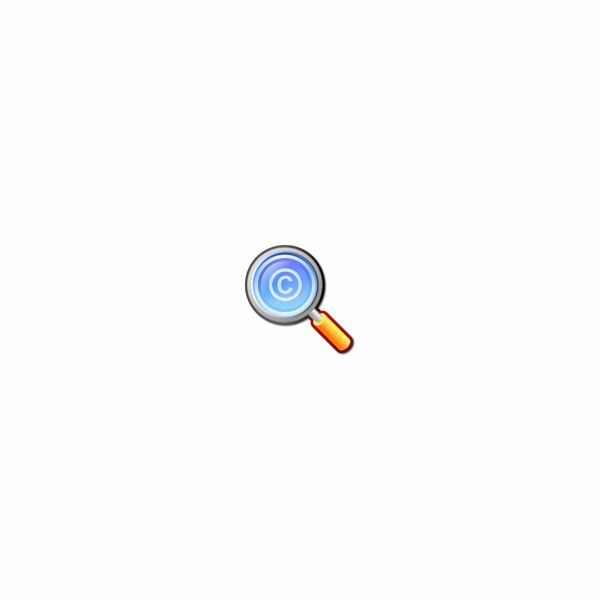 Image credit: Magnifying glass with copyright symbol by Plenumchamber via Wikimedia Commons.